Online Learning Made Easy With Grovo | Brand On! Want to improve your Internet skills quickly? Grovo.com is one of the best places I know to do it. It is a Web-based training platform that teaches with bite-sized video lessons. Each is just 60-seconds long, with short multiple-choice quizzes at the end to test your knowledge. Lessons are also supported with downloadable PDFs and time-synced transcripts. Grovo features over 3,500 video lessons covering more than 100 Internet tools and cloud services, with about 15 new lessons added daily. While it’s great for individuals, they also offer Grovo for Teams. 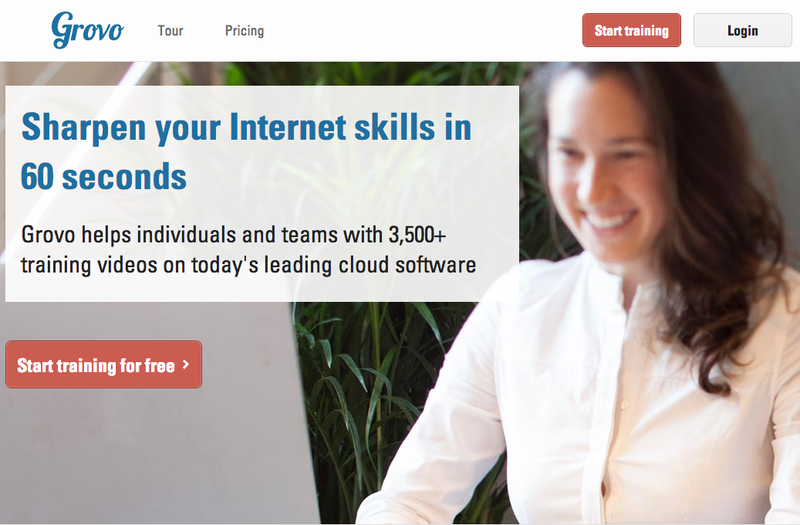 This helps organizations train their employees on the top Internet tools, sites and trends. There are advanced reporting features for team administrators. Cost: There is a free limited version along with unlimited pricing starting at about $7.50-$15.95/month for individuals, and about $14-$17 per user/month depending on the number of users (see individual pricing page and team pricing).